Søren Møller - NorthSea Therapeutics B.V.
Søren joined Novo A/S in October 2011 as Managing Investment Director of Novo Seeds. Søren obtained his MSc degree from the Technical University of Denmark in 1993 and his PhD degree in molecular biology in 1997 from the Technical University of Denmark. In addition, Søren has academic training as postdoctoral fellow at Stanford University School of Medicine. Prior to joining Novo Seeds, Søren served as global manager of Bioinformatics and Genomics at Novozymes. Before Novozymes, Søren was CSO and Vice President of R&D at Exiqon A/S where he was responsible for development of microRNA based products for life science research, pharma services and diagnostics. Previously, Søren worked in cancer drug development as head of Lead Identification at BioImage and as research scientist at Novo Nordisk. 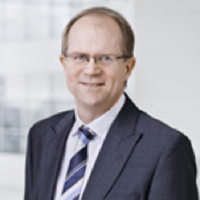 Søren serves on the Board of Directors of AMRA, Biosyntia, Reapplix A/SP. Since 2008, Søren has been board member of Danish Biotech (the Association of Biotechnology Industries in Denmark).